This month, Swiss Institute becomes Swiss In Situ, moving temporarily to a massive space at 102 Franklin Street in Tribeca. 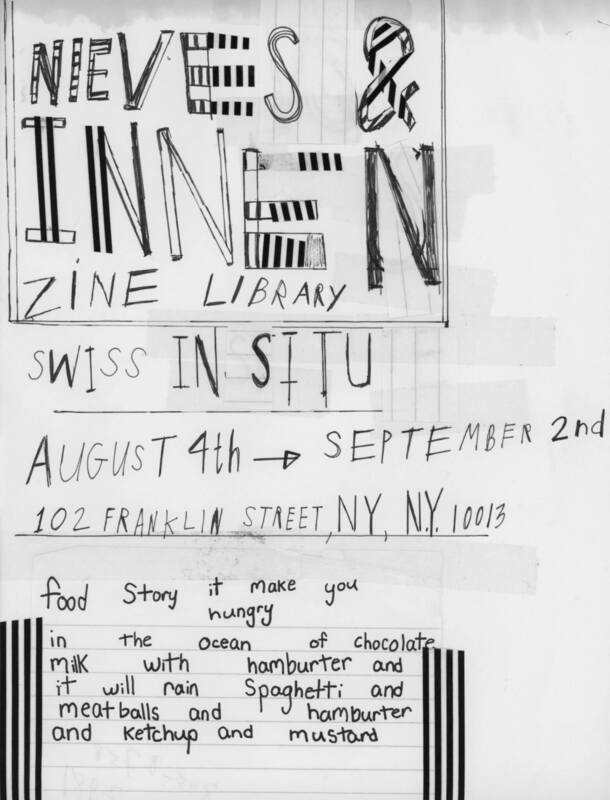 Their first exhibition, up through September 2, features a collection of artist-made zines from the independent Swiss publishing houses Nieves and Innen. Some of our favorites are below. To view the selections, click here.